I will also explain how to copy and create new worksheets programmatically. Sheet1.Cells(1, 1) = "Some Data"
Sheet1.Name = "Changing Sheet1's Name"
You could also reference a sheet using the sheet name and the WorkSheets collection. 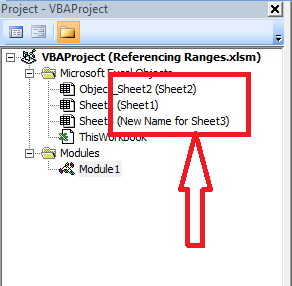 In the example below there are 3 sheets with the names “MySheet1”, “MySheet2” and “MySheet3”. They are referenced using the sheet names through the WorkSheets collection. 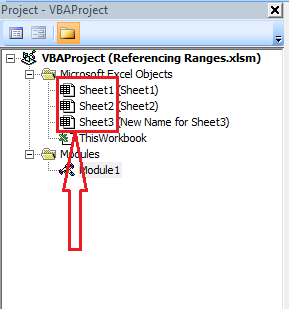 Sheets("MySheet1").Cells(1, 1) = "some Data"
The syntax for referencing sheets using their name is Sheets(“Sheet Name”) and Worksheets(“Sheet Name”). Both return the same results. 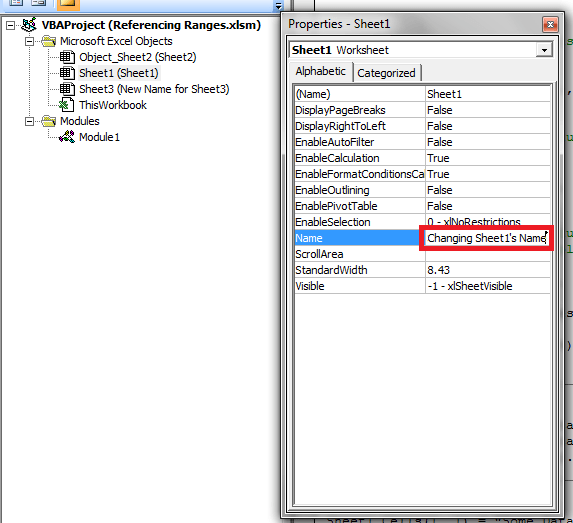 Note: Keep in mind that the sheet name could be modified by the user. This may cause errors in your code if your program references sheets using their name. You might need to consider locking to workbook from such changes. Sheets(1).Cells(1, 1) = "some Data"
Note: Keep in mind that the user can change the order of the sheets. 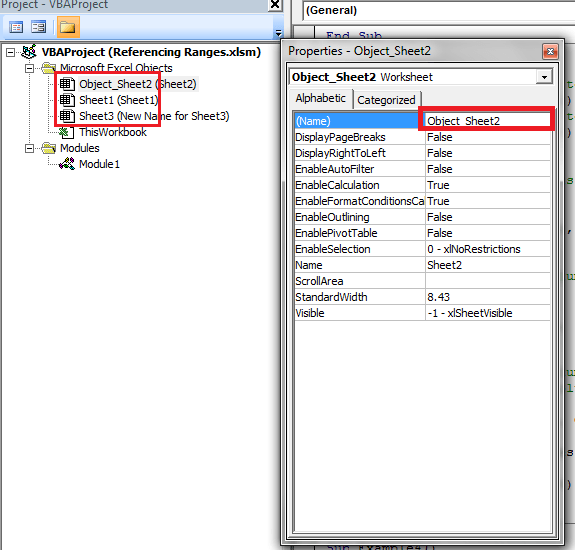 This may cause error in your code if you are referencing sheets using their index. You might need to consider locking the workbook from such changes.